We all have them, right? Books we had to have, for one reason or another… and then they sit there, unread, and eventually we decide that nah, not interested, not going to happen. And the books end up staying on the shelf, unread and unloved, until they get tossed into the donation bag next time we do a shelf purge. 1. 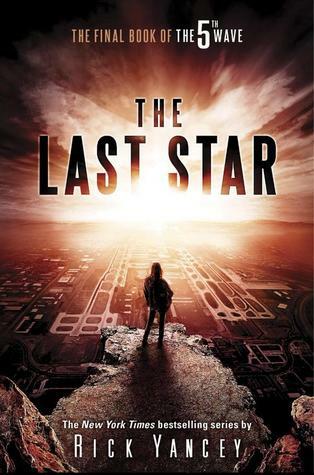 The Last Star by Rick Yancey: I loved The 5th Wave, and really didn’t like The Infinite Sea. After feeling so let down by the second book, I’m no longer interested in the conclusion of the trilogy. 2. 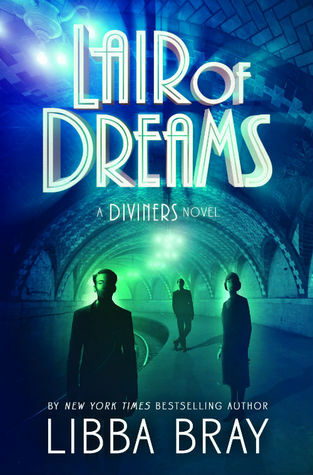 Lair of Dreams by Libba Bray: I loved The Diviners, but felt it would have been great as a stand-alone. And by the time a sequel came out, I didn’t feel invested in the characters or story any longer. 3. 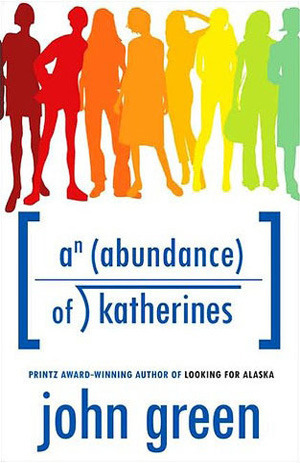 An Abundance of Katherines by John Green: I think I’m just John Green-ed out. I didn’t enjoy the last couple of his books that I read (Looking for Alaska and Paper Towns), and can’t see any reason to read this one, even though I own a copy. 4. 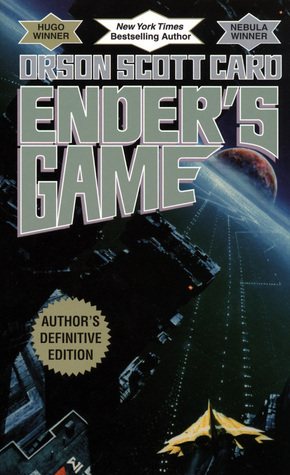 Ender’s Game by Orson Scott Card: I’m a sci-fi fan, and had heard for years that I should read this book — but, after reading all the articles about the author’s personal beliefs and political stance, I just can’t. 5. 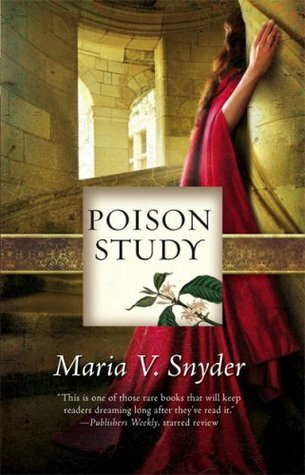 Poison Study books by Maria V. Snyder: I liked the sound of these books enough to pick up the first three at various book sales, but after having them on my shelf for all these years, I think it’s time to admit that I’m just never going to be interested enough to actually read them. 6. 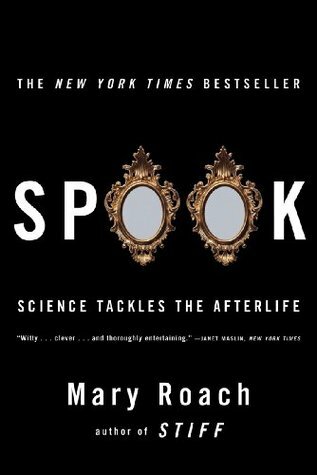 Spook by Mary Roach: I’ve loved so many of her books, but between the lukewarm reviews I’ve heard from friends and the amount of time that’s passed since I got a copy, I don’t really feel all that compelled to ever read this book. 7. 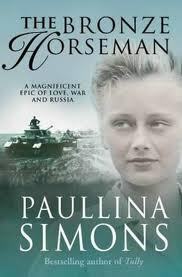 The Bronze Horseman by Paullina Simons: I picked up a copy based on the raves of some of my book group friends, but the length and subject matter are both factors in my never actually feeling like reading this book. 8. The Languedoc books by Kate Mosse: I’ve read and loved one book by this author (The Winter Ghosts). But these three books are all huge, and they’ve been on my shelves for so long without me ever feeling like starting them. At this point, I just don’t see it happening. 9 & 10. And finally, a couple that I picked up at a recent library sale — but so far, I haven’t felt the urge to start either one. Are there any here you think I should reconsider? The Snyder series is also on my list! I also picked up several books (in my case 6!) when they were on sale and happened to read the first three. I wasnt impressed… and I’m not sure why I continued to book 3… but I’m certain 4, 5 and 6 are going to remain unread! Good to know I”m not missing much! I also drop books from my to-read list when I become disinterested in the series. I read Ender’s Game before I learned about the author, and I think it’s an amazing book, but I don’t read anything by him anymore either. I can’t get past his ideology. It’s sad when an author’s personal views lead to a good book going unread — but sometimes we have to draw a line. To be honest, I read Ender’s Game before all of Card’s beliefs hit the internet, and I didn’t see what all the fuss was for. It’s a misogynistic, totally white and male story with unlikable characters (and not the good kind of unlikable – just blah). You aren’t missing anything. That’s good to know! Doesn’t sounds like something for me, regardless of the issues about the author. I’ll look forward to hearing what you think about the next books. I’m really reluctant to dive back in. The Bronze Horseman is a beast of a book, but I really enjoyed it! 🙂 I can see why you wouldn’t want to read some of the books on your list! It’s definitely worth giving The Bronze Horseman a go. Thanks for the input! Maybe I won’t give away my copy just yet. Great list, Lisa! I’ve heard fantastic things about Ender’s Game but, like you, I just can’t bring myself to read any of Orson Scott Card’s work when I could be reading something by a much nicer human. I’ve read the first books in two of Maria V. Snyder’s series, Poison Study and Touch of Power, and both times haven’t felt compelled to continue with the series so I don’t think you’re really missing out. I think if I’d read Snyder’s work when I was a teenager I would have loved it, but my tastes have changed a lot since then and I’m just not into the way she writes anymore. “A much nicer human” — I love that! Maybe that should be part of my official criteria for choosing books. 🙂 Good to know about Snyder’s books. I think I picked them up at a time when I was reading more books in that vein, but like you, my interests have changed over the years. Don’t look back. But, if they ever sound good again, don’t hesitate to pick them up. How’s that for conflicting advice. Interesting selections. Your conflicting advice makes sense! 🙂 I can’t regret not reading books that don’t call to me. I’d much rather spend my time on books that get me to jump up and down with excitement. I did read the sequel to The Diviners — and it was fine — I read both books on audio. But I really have no interest in the 3rd when it eventually is published. At least i think this is supposed to be a trilogy! Oh whoops! It’s already out! But yea, I’m out on the third. Okay, I guess I won’t bother feeling bad about not continuing. 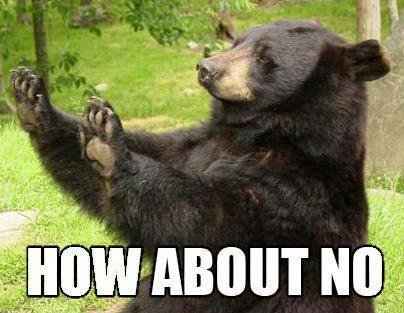 I think if the 2nd book had come out a lot sooner, I wouldn’t have thought twice about whether to continue. But once it starts feeling like going back rather than finding out what’s next, it doesn’t seem worth it to me to invest any more in a series. It’s probably good you don’t plan to read the Snyder books! From what I’ve heard, they are getting worse and worse and really ridiculous in the end. I only ever read the first and liked it, but it does have an ending of its own and I never felt like picking up the sequel. 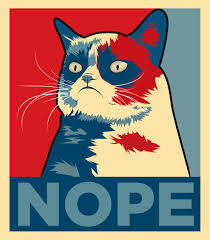 Okay, I’m glad I”m not going to bother! It’s so disappointing and frustrating to invest in a series, only to have the quality go downhill. Bray doesn’t post very often, but when she does, wow. That cover of Miss Jane looks gorgeous, though!!! I understand why you’re giving up on Ender’s Game… I read and loved the book before I knew much about Orson Scott Card, and I still love his work until now, just not the person himself. Haven’t read any of these – it’s very freeing to purge books you’ll never read. I’m about to do the same! It’s so nice to suddenly have space on my shelves after a purge. Unfortunately, those spaces never last long!